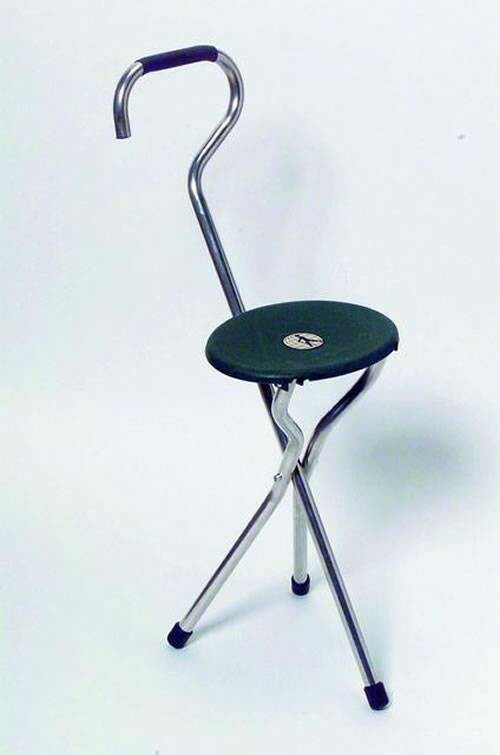 From walking stick to restful seat in an instant. Comfortable quality constructed polished aluminum frame with round seat. Three legs provide extra stability and leg tips are rubber for improved safety. 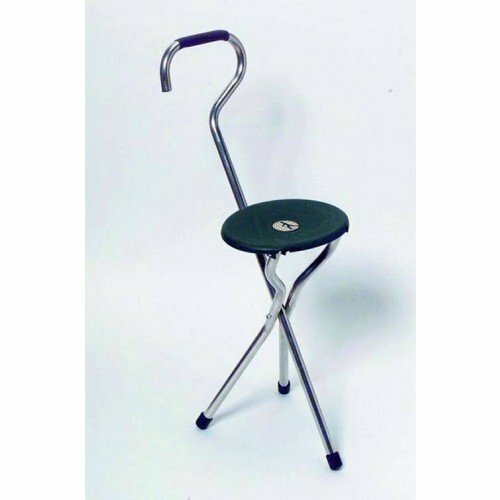 Rubber grip handle servers as a walking aid when seat is in closed position. Weighs less than 2 lbs. 18(1/2)" seat to ground. Weight capacity; 250 lbs. Walking height: 34" - 38", sitting height: 18" - 21", seat width 10". Desinged for firm even surfaces only. Does Vitality sell replacement rubber tips for this walking cane/seat? I can't find the right size to replace the ones that are wearing out. Thank you!! If the item is not available on our website we may be able to special order the item for you. Give us a call at 800-397-5899 to see if the item can be ordered for you.